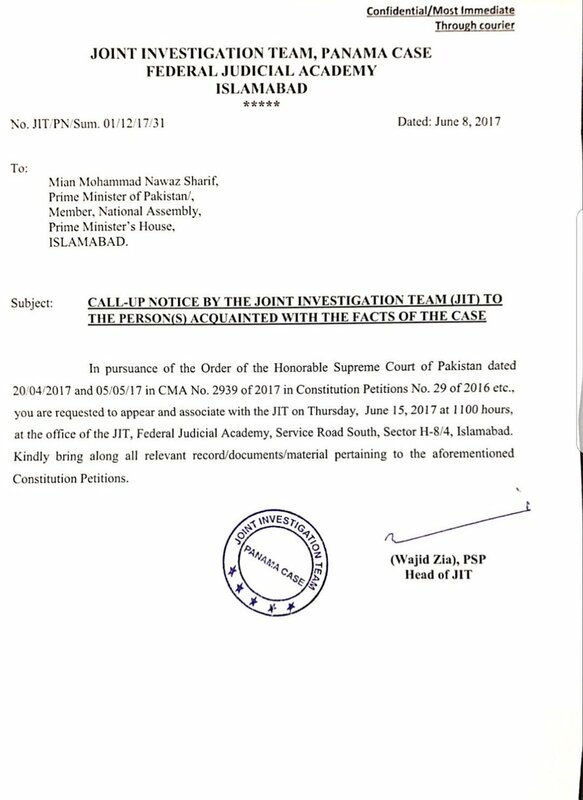 Islamabad, Pakistan: Panama case JIT (Joint Investigation Team) to Quiz PM Nawaz Sharif on Thursday. Sources have confirmed that Nawaz Sharif will present in front of JIT. Previously both sons of Nawaz Sharif, Hassan Nawaz and Hussain Nawaz has been present in front of JIT but cannot satisfy the investigation in corruption cases. JIT is trying to find the answers of the offshore properties of the Sharif Family those have been investigated in the Panama papers. JIT has been given 60 days by Supreme Court to complete the process of investigation. This case is the mega corruption case which emerges from Panama Leaks in April 2016.